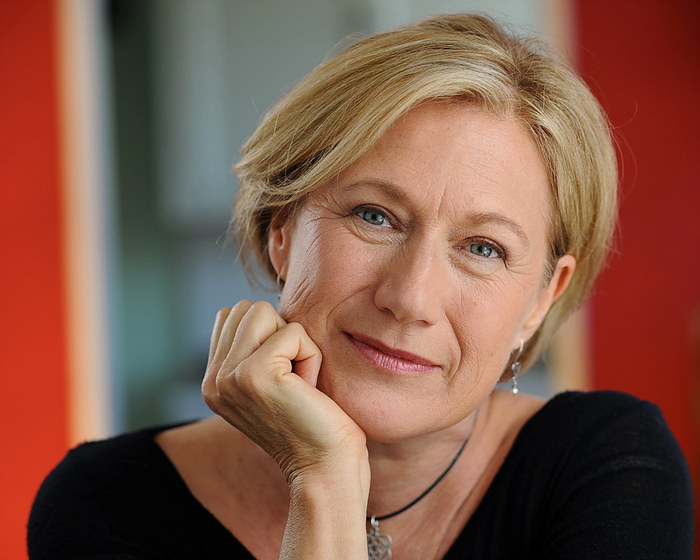 Stage and television star Jayne Atkinson ("House of Cards," "Madame Secretary") portrays legendary Governor of Texas Ann Richards in Holland Taylor's play. 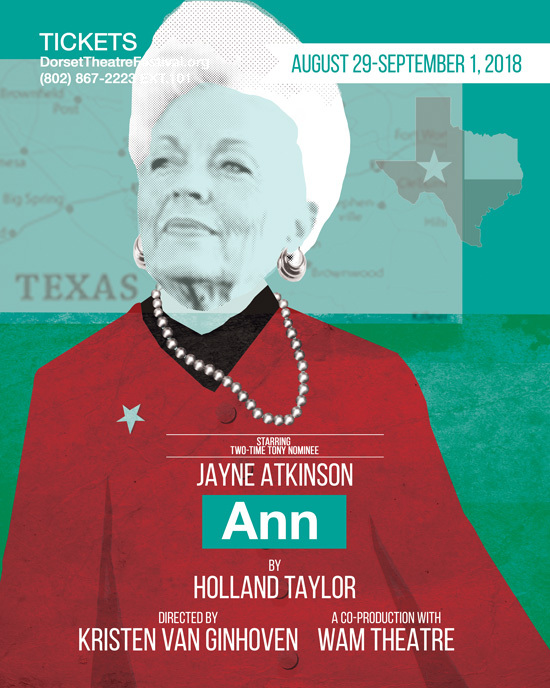 Written by award-winning actress and writer Holland Taylor, Ann is an inspiring and hilarious play that brings us face to face with the complex, colorful, and captivating character bigger than the state from which she hailed. Performed by two-time Tony nominee Jayne Atkinson (“House of Cards,” "Madam Secretary”), Ann takes a revealing look at the impassioned woman who enriched the lives of her followers, friends, and family. Jayne Atkinson (Ann Richards) has enjoyed a long and varied career as an actress, director, and producer. A graduate of Northwestern University and Yale Drama School, she has appeared in regional theatre, off-Broadway, and Broadway. Jayne made her Broadway debut in a revival production of Arthur Miller's All My Sons. Other Broadway credits include The Rainmaker (Tony nomination), Our Town with Paul Newman, Enchanted April (Tony nomination, Drama Desk nomination; Outer Critics Circle Award) and Blithe Spirit with the wonderful Angela Lansbury . She has also appeared off-Broadway in a number of productions, including The Art of Success (Drama Desk nomination) and The Skriker (Drama Desk nomination). Many may recognize Jayne from her film and television roles. Her feature film credits include Free Willy 1&2, The Village and Syriana. On television she is known for her guest appearances on the hit series The X-Files, Gossip Girl, Chicago Med and The Good Wife, among others. As a recurring character, she has played Karen Hayes on the award-winning 24, Erin Strauss on Criminal Minds, Secretary of State Catherine Durant on the popular Netflix Series House of Cards and most recently she can be seen opposite Tea Leoni as Vice President Teresa Hurst on MADAME SECRETARY. Directing and producing credits include benefit productions of Motherhood Out Loud and Can You Hear Me, Baby?, for WAM Theatre and the Berkshire Festival of Women Writers. She also runs Jadana Productions, which specializes in entertainment development. Her other areas of expertise include coaching and teaching. In her spare time, she promotes women’s causes, travels, participates in fundraisers. She is married to actor Michel Gill. Together they have one son. Julie White (Voice of Nancy Kohler) won the Tony Award for her portrayal of Diane in The Little Dog Laughed as well as Obie and L.A. Ovation Awards. Other Broadway appearances include A Doll’s House, Part 2; the revival of A.R. Gurney’s play Sylvia; Airline Highway (Tony, Drama Desk and Drama League Award noms); Vanya, Sonia, Masha and Spike; and The Heidi Chronicles. Off-Broadway credits include The Understudy, From Up Here (Drama Desk and Drama League noms), Fiction, Twelfth Night, and Bad Dates for Playwrights Horizons. Film: Lincoln for Steven Spielberg; Transformers 1, 2, & 3; Michael Clayton; The Astronaut Farmer; and the animated film Monsters vs Aliens. TV: Nurse Jackie, Alpha House, Go On (Gracie Award), The Good Wife, Man Seeking Woman, You’re The Worst, Cavemen, Six Feet Under, Grace Under Fire, and Law and Order: SVU. 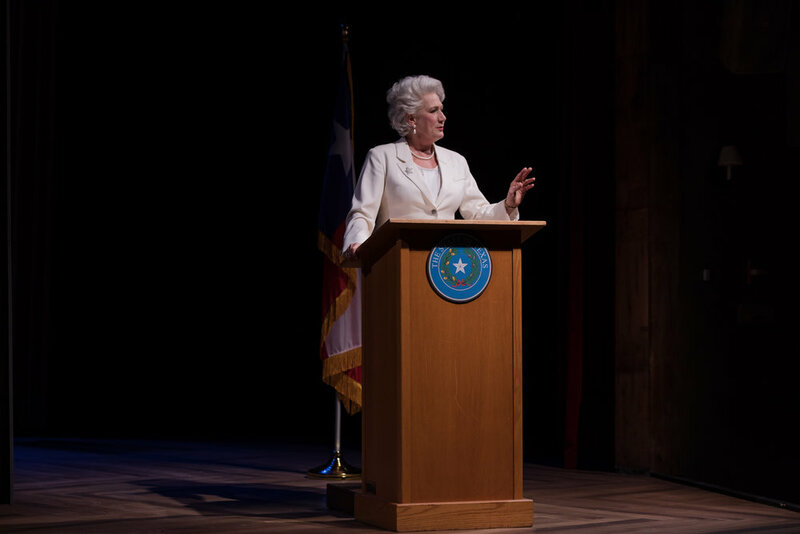 Holland Taylor took Broadway by storm as writer and star of ANN, a one-woman show about the late Texas Governor Ann Richards, which resulted in rave reviews, a Tony Award nomination for Best Actress, and a filmed version of the 2016 production in which Holland starred at ZACH Theatre in Austin, Texas, bringing Governor Richards back home. The New Yorker has called Holland Taylor "the first vaudeville Gentile we ever saw." Her New York stage performances include Bess in BREAKFAST WITH LES AND BESS, as well as the original productions of BUTLEY, opposite Alan Bates, and A.R. Gurney's THE COCKTAIL HOUR. She still holds her head high after taking over for Eve Arden, opening the historic flop MOOSE MURDERS. In Los Angeles she has performed in KINDERTRANSPORT, and played opposite Christopher Lloyd in Yasmina Reza's THE UNEXPECTED MAN at the Geffen. She has worked extensively in film and television, appearing in "Romancing the Stone," "Jewel of the Nile," "To Die For," "Next Stop Wonderland," "One Fine Day," "George of the Jungle," "The Truman Show," "Happy Accidents," "Spy Kids (2 & 3)," "Keeping the Faith," "Legally Blonde," and "Baby Mama," with Tina Fey and Amy Poehler. On television, Holland has been nominated for an Emmy seven times, winning Best Supporting Actress in a Drama for the sexually popular Judge Roberta Kittleson on "The Practice." Among her numerous series starring roles: "The Powers that Be," Norman Lear's short-lived but highly acclaimed political satire; "Bosom Buddies," with Tom Hanks; and, of course, the juggernaut, "Two and a Half Men," with her dear boys: Charlie Sheen, Jon Cryer, and number 3 son, Ashton Kutcher. She has performed narrations for the Los Angeles Philharmonic with Esa-Pekka Salonen and John Adams, and narrated the "Harry Potter Suite" for John Williams at the Chicago Symphony Orchestra. Following her Broadway run in ANN, Holland appeared in "Kepler's Dream," an inspiring film for a young audience, and in New York she played another character who never leaves the stage and talks a LOT in Pulitzer prize-winner David Lindsay-Abaire's dark comedy RIPCORD, at the Manhattan Theatre Club. 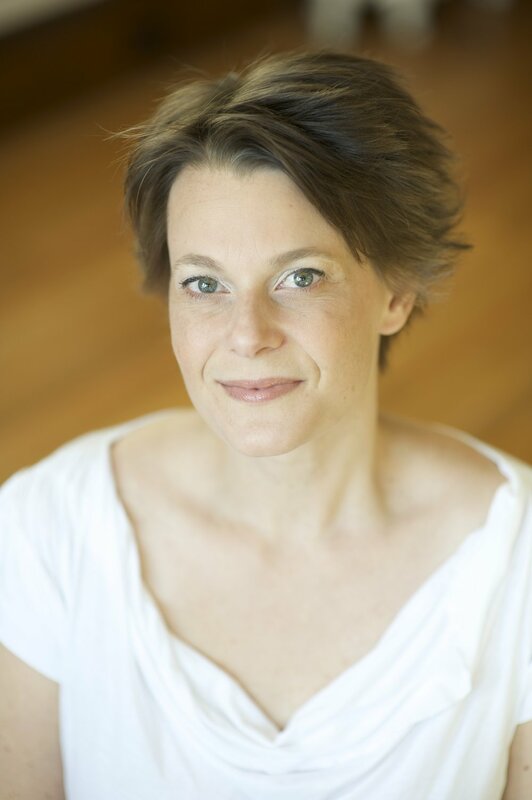 Kristen van Ginhoven (Director) is the Artistic Director of WAM Theatre, which she co-founded in 2010. Based in Berkshire County, Massachusetts, WAM Theatre is Where Arts and Activism Meet. WAM’s vision is to create opportunity for women and girls through a mission of theatre as philanthropy. In eight years, WAM has produced thirteen main stage productions, provided paid work for over 400 theatre professionals, and donated over $41,500 to local and global organizations taking action for women and girls in areas such as girls education, teen pregnancy prevention, sexual trafficking awareness, midwife training and more. In addition to the main stage productions and special events, WAM Theatre’s activities include a comprehensive educational outreach program and the Fresh Takes Play Reading Series. Kristen is a member of the Society of Stage Directors and Choreographers and Canadian Actor’s Equity Association, and is a theatre artist for the International Schools Theatre Association. She was a member of the 2013 Lincoln Center Director’s Lab and is a member of the Michael Langham Workshop for Classical Direction at the Stratford Festival of Canada. Kristen’s directing credits at WAM Theatre include In Darfur (New England Premiere), Emilie (New England Premiere), The Old Mezzo (World Premiere), The Attic, The Pearls and Three Fine Girls and Melancholy Play. Elsewhere, Kristen’s selected directing credits include Disgraced, I and You (Chester Theatre), Waxworks (Williams College), The Whale (Adirondack Theatre Festival), 10 Minute Play Festival (Barrington Stage Company), Petticoats of Steel (Capital Repertory Theatre), Footloose (Cohoes Music Hall), Children’s Hour (Siena College), Vendetta Chrome (Emerson College). She has a BA from Dalhousie University, BEd from Queen’s University and an MA from Emerson College, where she received the Presidential Fellowship. Juliana von Haubrich (Scenic Designer) has worked for Dorset Theatre Festival/WAM Theatre (Ann); Shakespeare & Co. (Heisenberg); WAM Theatre (Melancholy Play, Old Mezzo, Emilie, Holy Laughter, In Darfur, Last Wife), Chester Theatre (I And You, Disgraced), WAM/Berkshire Theatre Group (Bakelite Masterpiece), Adirondack Theatre Festival (The Whale). In NYC: The Acting Company (Pudd’nhead Wilson, Taming of the Shrew), The Juilliard School (La Cenerentola, Richard II). In LA: Echo Theatre Company (Uncle Vanya, Ghosts in the Cottonwood). For TV: TNT (Babylon5), BBC (Bugs), Paramount (Star Trek NG/Voyager). Juliana holds an MFA in Scenic Design from Calarts. Online: JvonHdesigns.com. Jess Goldstein (Costume Designer) New York credits include Jersey Boys, Disney’s Newsies, On The Town, The Rivals (2005 Tony Award), The Merchant of Venice with Al Pacino (Tony nomination), Plenty with Rachel Weisz, Henry IV with Kevin Kline (Tony nomination), Proof, Julius Caesar with Denzel Washington, Love! Valour! Compassion!, Take Me Out, Tintypes, The Most Happy Fella, Buried Child, How I Learned to Drive, Stuff Happens, Dinner with Friends, The Uneasy Chair (Lortel Award), The Mineola Twins (Lortel and Hewes Awards) and Enchanted April and The Rainmaker, both with Jayne Atkinson. His opera designs include Il Trittico for the Metropolitan Opera, Dead Man Walking for New York City Opera, Two Women and Heart of a Soldier, two recent world premieres for San Francisco Opera and Lucia di Lammermoor and La Traviata for Washington National Opera. Jess has also designed for film and television, most notably A Walk on the Moon directed by Tony Goldwyn, The Substance of Fire with Sarah Jessica Parker and Talking With and Far East for PBS’ Great Performances. He is the 2015 recipient of the Irene Sharaff Lifetime Achievement Award and is a graduate of the Yale School of Drama, where he has been a Professor in the design department since 1990. jess-goldstein.com. Andi Lyons (Lighting Designer) is excited to be working at the Dorset Theatre Festival for the first time this summer, though she has designed several hundred productions in a variety of professional and academic venues. Some favorite productions include WAM Theatre’s Emilie: La Marquise Du Châtelet Defends Her Life Tonight; Imagining Madoff and I Am My Own Wife at Stageworks/Hudson; Twelfth Night at Williams College; Tosca at Tri-Cities Opera; Distant Music at Theater for the New City; The Seahorse and Looking Over the President’s Shoulder at Capital Repertory Theatre; Street Scene at Des Moines Metro Opera; and Sole Sisters at La MaMa. She is the Resident Lighting Designer and Professor of Theatre Design and Technology at the University at Albany, SUNY. Andi received her MFA from the Yale School of Drama. M.L. Dogg (Sound Designer) Previously M.L. Dogg designed Downstairs, The Way Of the World, Red, and The Scene for the Dorset Theatre Festival. He has also designed for such companies as Second Stage Theatre, Ensemble Studio Theatre, Phantom Limb Company, Actors Theatre Of Louisville, Primary Stages, MTC Theatre, Folger Shakespeare Theatre, The New Group, Women’s Project, Signature Theatre, TheaterWorks, Seattle Repertory Theatre, Huntington Theatre, Playwrights Realm, Page 73 Productions, Playwrights Horizons, American Repertory Theatre, Cherry Lane Theatre, Waterwell Productions, Colt Coeur, MCC Theatre, Geffen Playhouse, Long Wharf Theatre, Roundabout Theatre Company, Royal National Theatre, Debate Society, Ars Nova, Keen Company, South Coast Repertory, Pearl Theatre, Williamstown Theatre Festival, Almeida Theatre, Public Theatre, Milwaukee Repertory Theater, Nicholas Ward Productions, 13P, Classic Stage Company, and Shakespeare And Company. Broadway: Straight White Men, Oh, Hello On Broadway; The Pee-wee Herman Show. Drama Desk, IRNE, and IT nominee; Lortel award for Here Lies Love, fringeNYC award for Go-Go Kitty, GO!. Emely Zepeda (Stage Manager) In New York City, Emely is the resident production stage manager at Brave New World Repertory Theatre where she has stage managed Brave New Works: Reading Festival, The Plantation, and Ms. Julie, Asian Equities. In New York City, Emely has also worked at Ars Nova (Soft Butter), the Public (Twelfth Night), Signature Theatre (Sound Bites), IRT Theatre (Spring Fling), New Ohio (Yellow Card Red Card), New Dramatist (PlayTime), and La MaMa (Chix 6). Regionally, Emely has also stage managed at Transcendence Theatre Company in California (Best of Broadway) and the International Festival of Arts and Ideas in Connecticut (The Square Root of Three Sisters). Internationally, Emely stage managed a touring bi-lingual production of Midsummer Night's Dream in Chile. Emely holds an MFA in stage management from the Yale School of Drama where she worked at the Yale Repertory Theatre as stage manager on Cymbeline and assistant stage manager on Indecent and Familiar. Tickets, subscriptions, and flex passes available online. Buy online or contact the Box Office at (802) 867-2223 ext. 101 from 12 PM-4 PM Tuesday-Friday or by email. Please note that all ticket purchases are non-refundable.